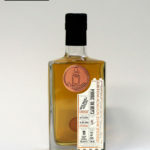 This entry was posted in New Whisky Releases and Bottlings and tagged Glendronach, Single Malt, Speyside, the whisky shop dufftown, The WSD on 12 July 2010 by Mike. Still catching up with the new stock in the shop! We now have in stock 6 of the Glendronach single cask whiskies from their second release. They are all stunners and all from sherry casks. In short supply so get them while you can!! !